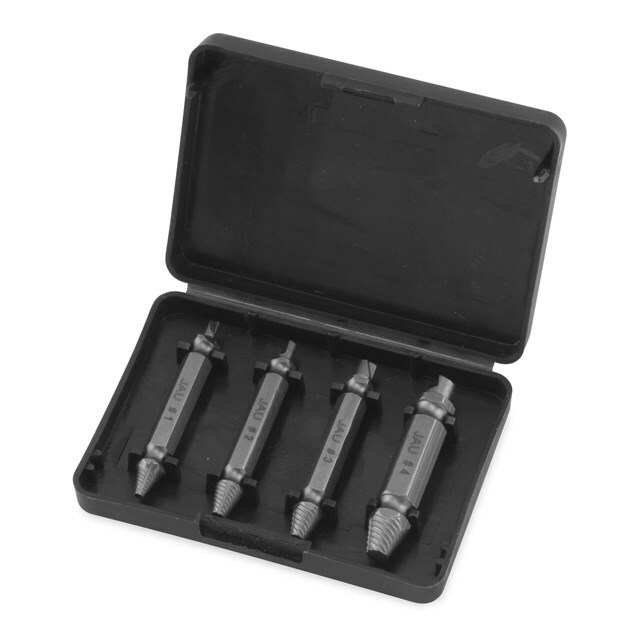 This 4-piece screw extractor set is perfect for your track tool box. Helps remove stubborn stripped-out Phillips-, Allen-, square- and Torx-style screws. Great for removing rusted handlebar switch housing screws and engine side covers that have stripped heads. Convenient carrying case keeps all four sizes together.